pagiipunan ko yung carbon fiber hehehe. pero nice yung bows ah. Do you have pernambuco? Hi Liza. 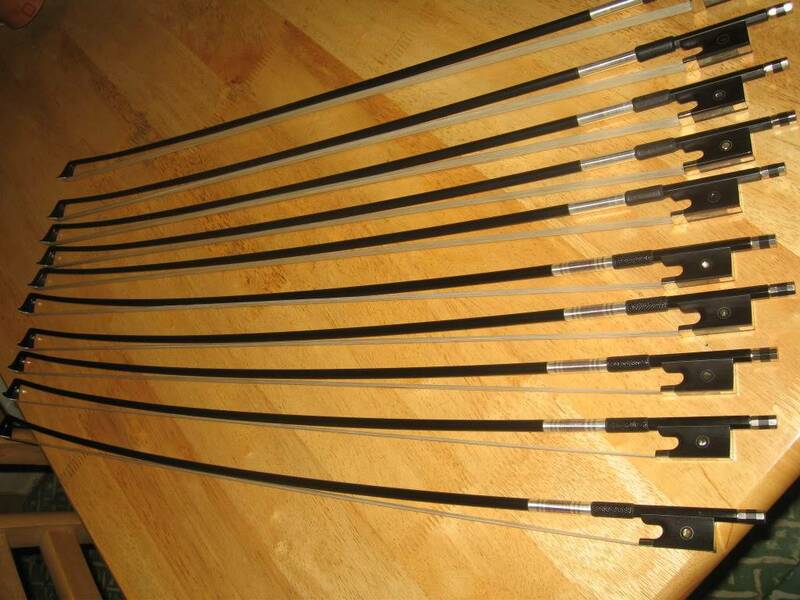 I didn't order pernambuco bows because it's a little bit more expensive, around 6k each if bought from me. It's around 12K up if bought from stores. 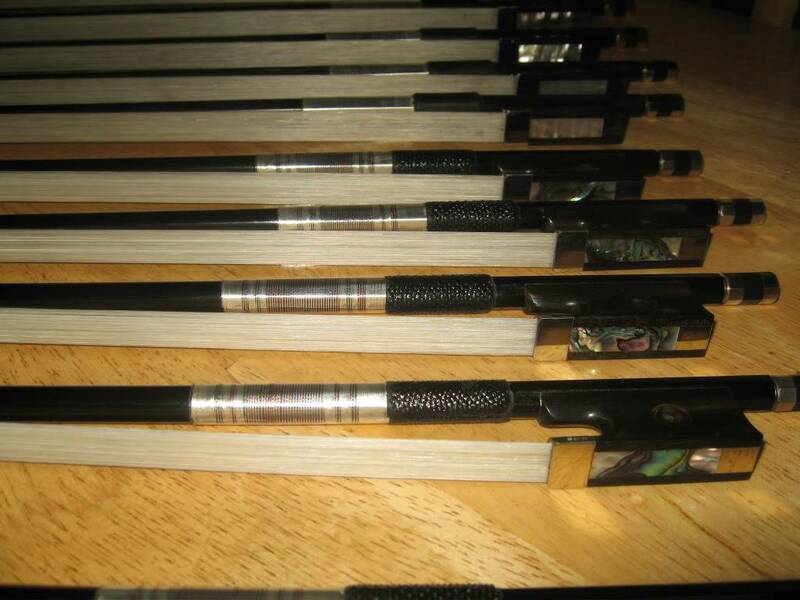 But, if there's anyone interested in pernambuco bows I can order from the bow maker. I'll just include it in the shipping of the other bows so it ships for free. 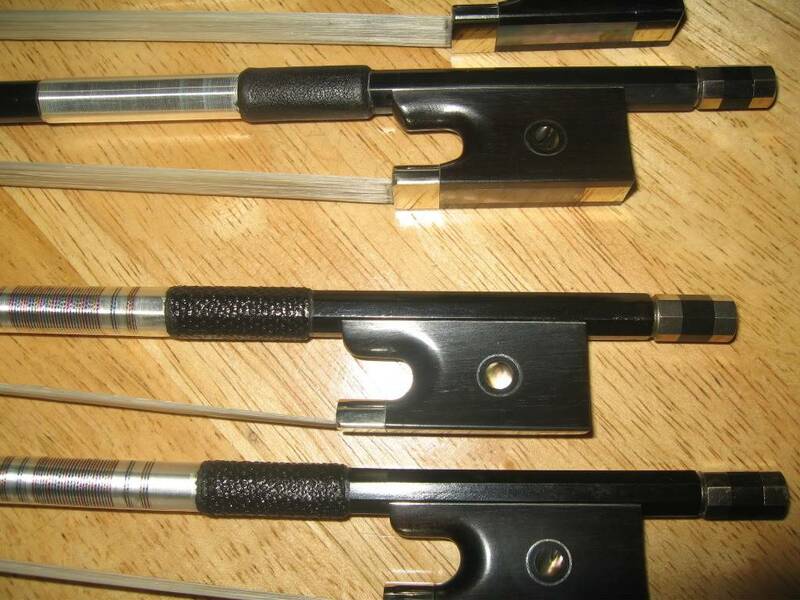 These carbon fiber violin bows actually sell at around 7k-15k abroad (a PPO friend bought his at 10k in hongkong) but I sell it at a lower price because I ordered almost a hundred bows from the maker himself and he gave me a good discount. 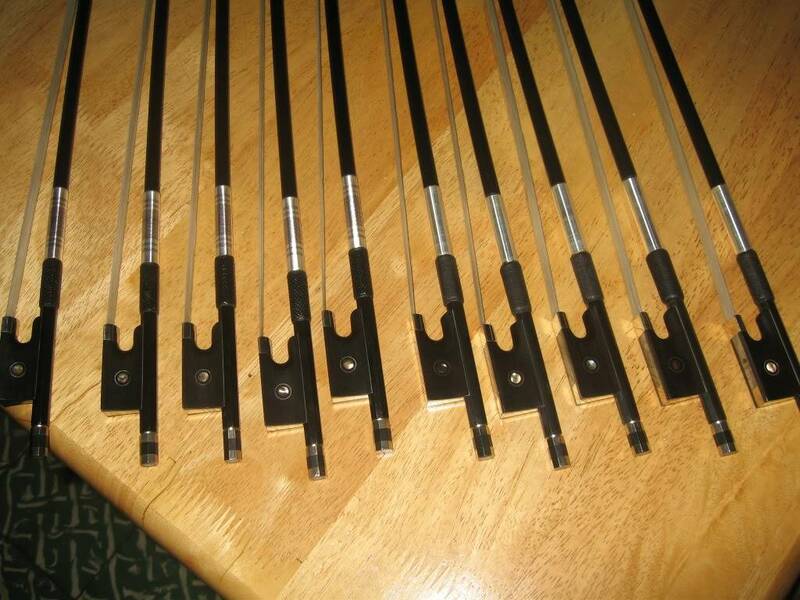 The carbon fiber violin bows are currently sold-out. 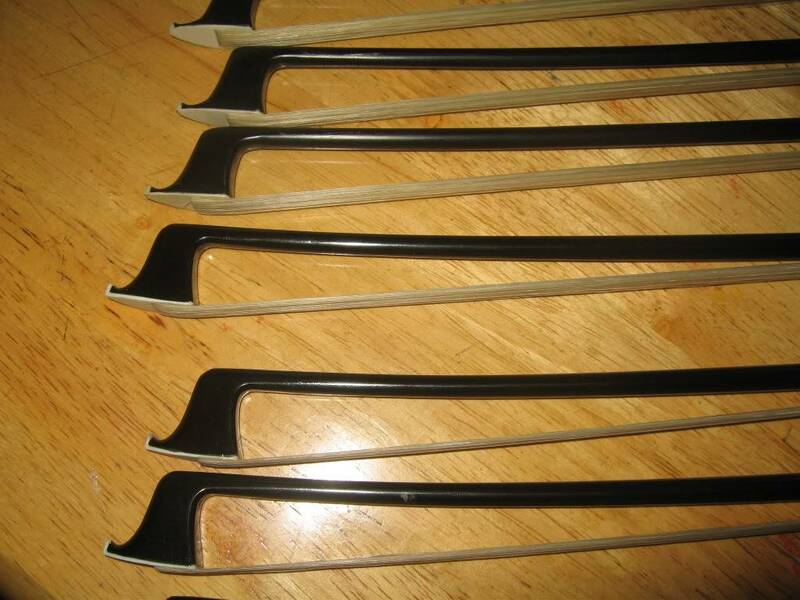 A shipment of 10 violin, 10 viola, 4 bass carbon fiber bows will arrive next week but all the violin bows in this shipment are reserved by PPO members. 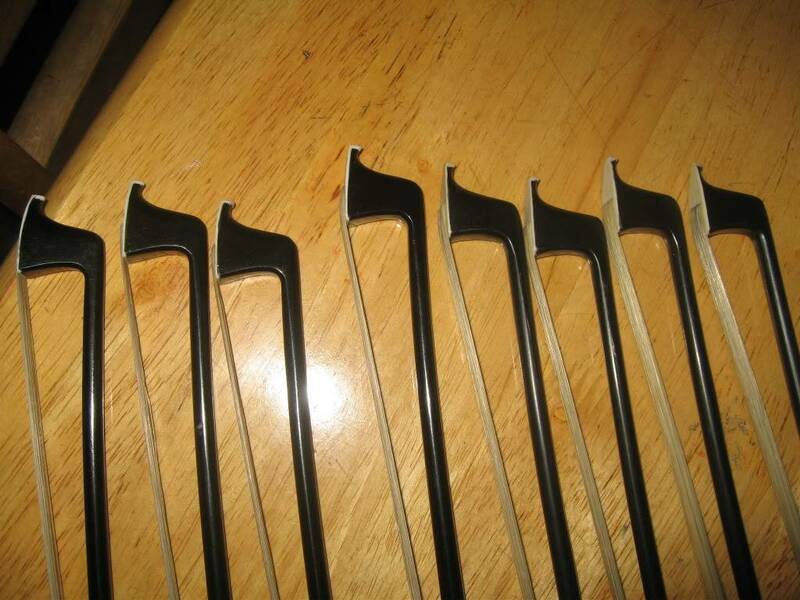 I will ask the bow maker to send another 10 violin bows. I only order 10 at a time to avoid paying too much at customs. What's the brand of the bows? Prices are pretty reasonable. this is a good deal po. soon, there will be people here na mag ccarbon fiber na din. huwwwooooooowwww! gusto ko nito! kaya lang kakabili ko lang ng IPE. Anyway balitaan mo kami dito pag meron ka ulit! Baka pde na ko bumili by that time, hehe. jollyclay gusto mo? hahahah niceeeee!!! magcacarbon fiber na sya oohhhh..
actually nakacloseup yan. punta ka dito kung gusto mas malaking picture, may limit kasi picture size dito. more bows parating this week. I'll add pics later. again these are already discounted prices. 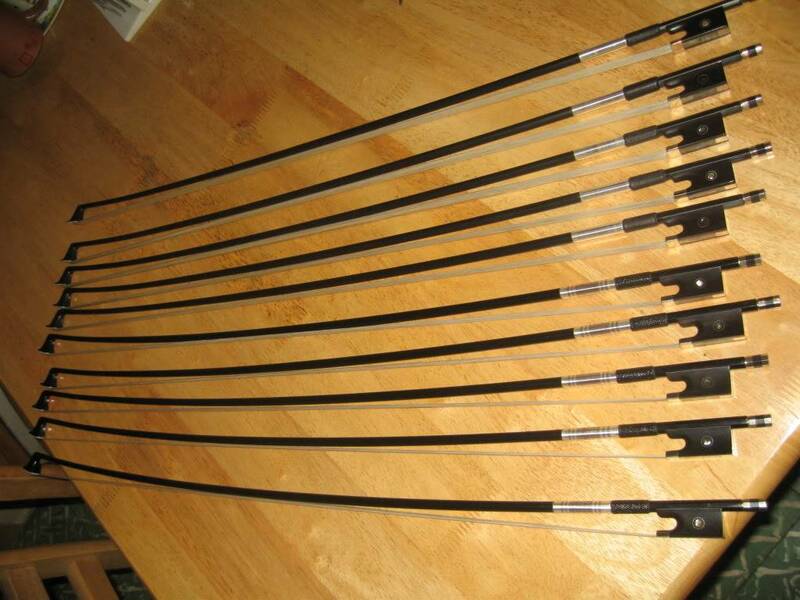 You will actually pay more if you'll buy only 1 bow directly from the maker because these are master models. I can't find the photos for pernambuco bow. Can you post a direct link? I'm very very interested, hehehe. nakita ko na, gusto ko ung top level CF bow. sana may matira pa sa stock mo rommel, hehehe. Hello rommel. Can you post your contact details? @jollyclay sorry, naubos na yung first batch ng master carbon fiber a few hours after ko nakuha sa customs, binili kasi ng mga ppo violinist lahat. umorder na ako ulit, dadating next week. meron pa ba master model CF bow? pareserve ako isa. pano kita babayaran at pano ko kukunin sayo? This topic is stickied. Thread Starter just notify me if it's out of stock already. Thanks! kakakuha ko lang kanina 10 master model cf bows. best batch to so far. sige reserve kita isa. ayus! so pano kita babayaran at pano ko kukunin? or ok lang ba pa-LBC bayaran ko na lang delivery? kung meet up san ba? text me na lang para mas mabilis ako makareply. wala ka ba sa metromanila? last choice lbc kasi it's not safe for the bow. mas maganda sa victory liner station to station, aabangan mo lang arrival ng bus sa inyo so same day delivery yun. pagmedyo malapit lang like tagaytay, cavite, bulacan just give pang-gas and toll fee tapos hatid ko yung bow sa bahay nyo(makakapili pa kayo kasi dala ko lahat ng bows). nakuha ko na CF bow from rommel! bwahahahahahaha! Try ko agad mamaya pag uwi ko. nagamit ko kanina ang cf ni clay! maganda nga! may nagrequest ng rosewood fittings. I can't remember kung sino. anyway nag-add ako ng rosewood fittings pics sa first post ko. how much po for viola fittings? waaaa gusto ko nug CF bow w/ titanium fittings..